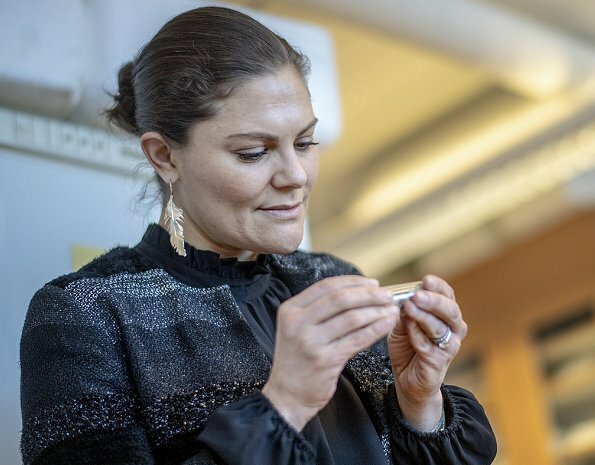 On January 30, 2019, Crown Princess Victoria of Sweden visited the Zoology faculty at University of Gothenburg and the Swedish Agency for Marine and Water Management (Havs- och vattenmyndigheten). The Swedish Agency for Marine and Water Management, SwAM, is a government agency that works for flourishing seas, lakes and streams for the benefit and enjoyment of all people. 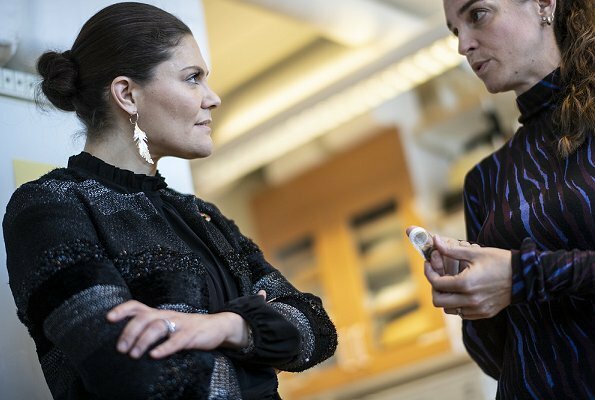 During the visit to the University of Gothenburg, the Crown Princess met with the head of department Henrik Aronsson, professor of plant molecular biology, and Bethanie Carney Almroth, associate professor of ecotoxicology, both at the Department of Biology and Environmental Science. 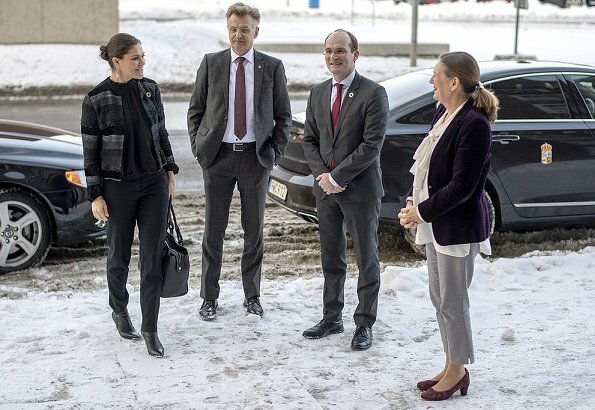 The focus of the Crown Princess's visit was on several important environmental issues, including marine littering, microplastics, the Baltic Sea status, new environmental requirements for hydropower and fisheries control in protected areas. 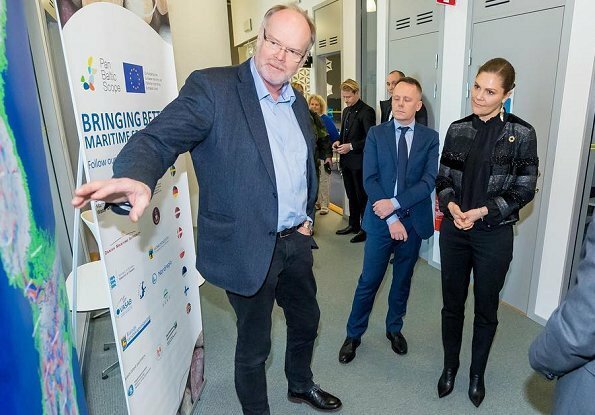 At the Agency for Marine and Water Management, the Crown Princess met with Director General Jakob Granit and several employees to get in-depth information about the agency's work. Her pants are very ill fitting.